To meet a customer’s specifications, trucks may need to undergo costly and time-consuming post-production reworks or have additional work done at the body builders. Through its local manufacturing facility, IVECO Australia is able to address this situation by offering much greater customisation or ‘Special Vehicle Authorisations’ (SVA) on its Australian-manufactured ACCO, Powerstar and Stralis models. 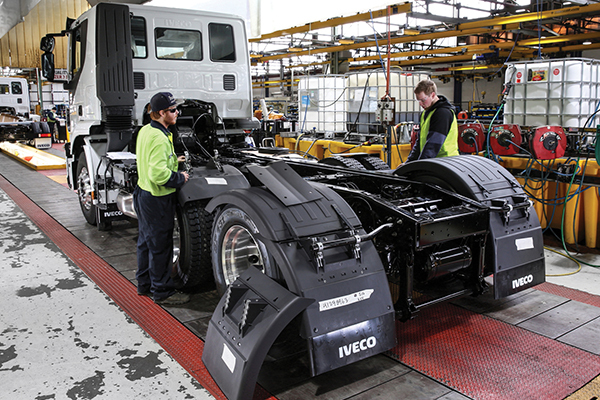 IVECO Product Engineering Teams have been designing and building SVA vehicles at the company’s Melbourne manufacturing facility for more than 55 years, commonly making modifications to areas such as chassis rail dimensions and layouts, drive axles, steer axles, wheels and tyres along with bodybuilder-specific requirements. Marco Quaranta, IVECO ANZ Product Manager, says its Engineering Team is on hand to offer expert advice and assistance throughout the process of owning an SVA vehicle. Chassis Rail Dimensional Characteristics: Wheelbase, rear overhang and reinforcement type. Chassis Rail Layout (type, size/volume and location): Fuel tank(s), AdBlue tank, air tanks, exhausts, battery boxe(s) and cross member locations. Bodybuilder-specific requirements: Chassis rail packaging, extra drillings for bodybuilder-mounted components. Drive Axles: Axle model, suspension type, brake type, wheel ends, slack adjusters, Ackermann geometry. Wheels: Steel or alloy, polished or non-polished, 285 or 335mm. Tyres: Size, brand and tread pattern. Recycling rates are increasing globally and new possibilities for using waste as a resource are opening up every year. 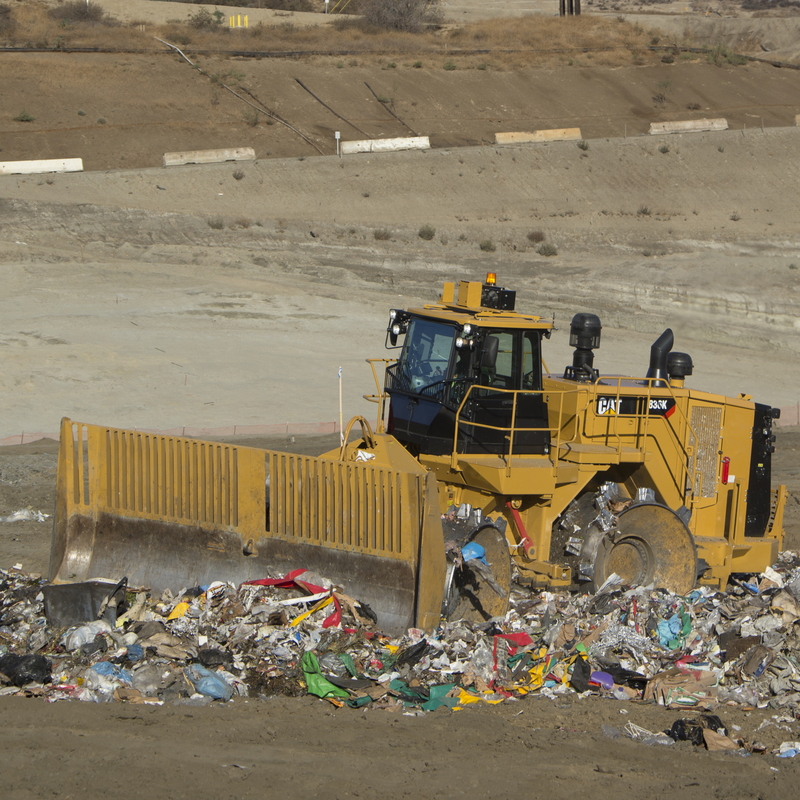 Legislation aimed at reducing disposal to landfill means new methods of resource recovery, including waste from energy are leading to a variety of novel systems and processes. Because the business environment is constantly changing, having a versatile machine is invaluable. The TANA Shark waste shredder was designed with exactly this in mind. The slow-speed multipurpose waste shredder is suitable for a variety of tasks, including pre-shredding, secondary shredding, small particle size shredding and in-line systems. 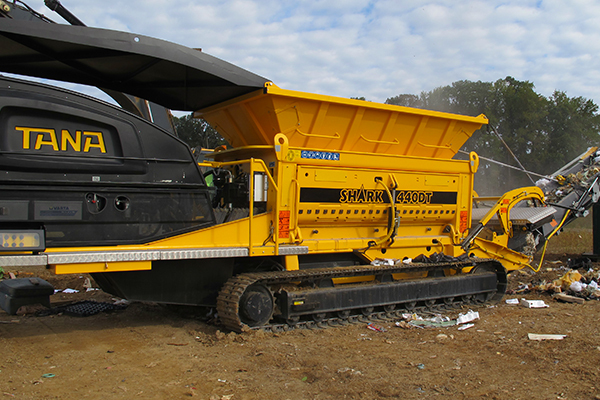 It can shred a wide variety of materials, ranging from tyres, commercial and industrial waste construction, plastics to mattresses. The TANA Shark waste shredder enables full control over the particle size from 50mm to 500mm (2” to 20”) with low operation costs and a possibility to perform shredding in just one pass. One of the most problematic yet growing areas of recycling is end-of-life tyres. The TANA Shark 440 waste shredder can be used to shred tyres, with sizes ranging from car and truck tyres up to heavy earthmoving and mining. Ensuring the end result is pure rubber without any metal wires, TANA Shark 440 takes care of the shredding process, whether its a pre-shred from 500mm minus or a finished product of 50mm minus. In the primary shredding phases, unwanted metal wires are removed using an over-band magnet and a range of screens which are inserted below the rotor to generate a particular size of material. The end product size and quality can be determined and finalised by using a rotor screen with suitable mesh size out of the six available, ranging from 35mm up to 220mm. The new 562 gross horsepower (419 kW) Cat® 836K landfill compactor delivers on more than 20 years of durable reliability and ease of service by ensuring the operator’s health, productivity and safety are all standard features. The 836K advances the solid engineering of its predecessors with new wheel and tip configurations and enhanced safety and serviceability. The 836K comes equipped with one of three new wheel and tip con gurations available to meet the operator’s desired application. A standard rear-view camera enhances overall visibility for the operator while a new instrument pod features membrane switch panels and automatic temperature control – improving operator comfort. Interior and bystander sound levels are reduced, with optional sound-suppression packages available. 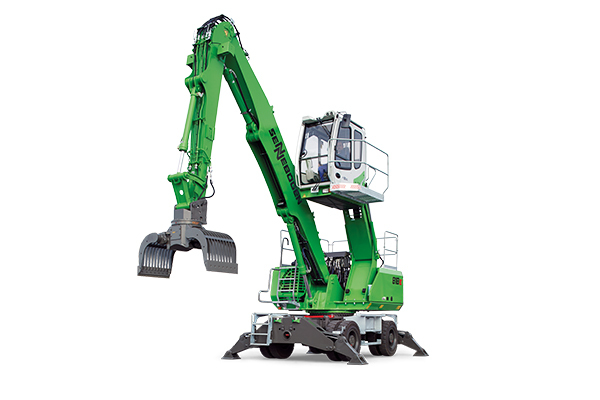 To protect key components and systems from damage, the 836K uses specialised guarding, including hydraulically actuated engine and power-train shields and front-frame guards to prevent trash build-up inside the frame. Axle-seal guarding stops material from binding around the axles. The 836K’s Auto-Blade feature automatically raises the blade when the machine reverses and lowers the blade to a pre-set height when it moves forward. The STICTM steering controller uses a single lever for steering and transmission control, allowing the operator to sit comfortably back in the seat, reducing fatigue. For optimum efficiency, the 836K can be fitted with the Cat Compaction Technology. Using a Global Navigation Satellite System and digital terrain files, the system delivers real-time information via an in-cab display to assist the operator in determining the appropriate number of passes for the level of compaction required. Landair Surveys (Wantirna, VIC) is about to introduce a new generation of aerial surveying solutions for their clients. 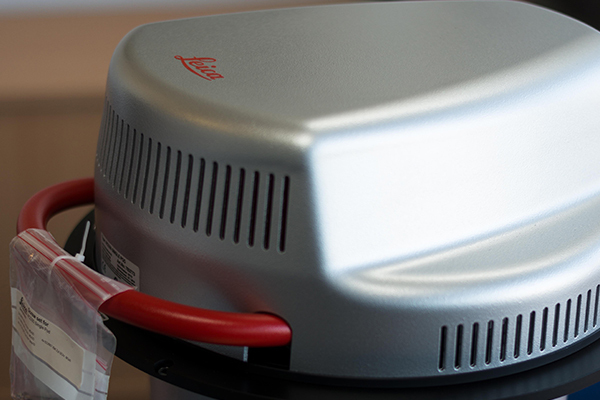 The company reports its newly-purchased Leica RCD30 airborne camera has improved turnaround time by up to 67 per cent. Designed for photogrammetric and remote sensing applications, Landair says the brand new Leica equipment will be fitted to Landair’s aircraft. 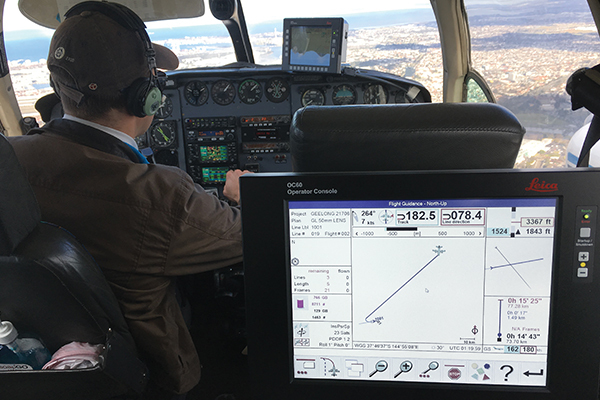 Erik Birzulis, managing director of Landair Surveys, says that after rigorous testing and commissioning of the unit, the company will offer new benefits through the product. These include a faster turnaround time – full integration with software workflow resulting in urgent products being completed on the same or next day, reduced impact for the client’s operation team and reduced risk associated with site access issues. An improved camera sensor means surveying can be done in less favourable lighting conditions, while a shorter processing time is achieved by integrating cloud-based IT solutions. “For example, instead of shipping a hard drive to the head office by overnight courier, the data will be uploaded to Landair’s servers within minutes,” Eric says.